The Telus Drive+ device works with most vehicles built after 1996 and plugs into the car's port. 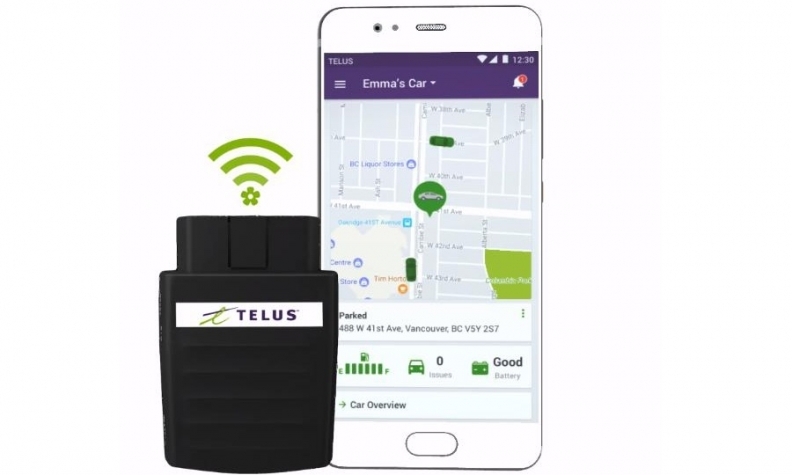 Canadian telecommunications giant Telus is the latest company to enter the connected car market, partnering with software company Mojio and phone and tablet maker ZTE to launch Telus Drive+. Telus will provide the network, Mojio the software and ZTE the dongle that plugs into a vehicle’s on-board diagnostic (ODB-II) port. The ability to stay connected, which turns the car into a Wi-Fi hotspot for up to five devices in the car. “There are nearly 18 million ‘disconnected’ passenger vehicles on Canada’s roads. Our goal is to rapidly decrease that figure while simultaneously offering a smarter, safer and more convenient driving and vehicle ownership experience,” Mojio CEO Kenny Hawk said in a news release. OBD-II data port became standard in North America cars during the 1990s. Third-party tech companies have been selling OBD-II dongles that plug into a car's diagnostics port for years, creating connected cars that otherwise wouldn’t be and eliminating the need for consumers to buy connected options in newer vehicles from the automaker. The software also means a driver can know their car battery is low or engine is overheating without ever having to be diagnosed by a mechanic. Telus Drive+ became available at Telus retail locations nationwide Oct. 2. The device costs $200 to buy or it’s free with a two-year contract and monthly data plan that costs $15 per month. The plan is only available to Telus customers and must be added to an existing Telus account.